Encephalitis is an inflammation of the brain, which can be caused by an infection or by an autoimmune deficiency. Since 1994, the Encephalitis Society has been doing great work across the UK to assist those affected by this debilitating disease, providing the only service in the world specifically dedicated to the victims of Encephalitis and their loved ones. Good works done by this noble charity include the distribution of informational materials to aid awareness and understanding, annual meetings and retreats, and contributions to research to further our understanding on Encephalitis. Here at Clare Florist we applaud the work done by the dedicated workers of the Encephalitis Society. As a small gesture, we've put together this beautiful arrangement of flowers, and we'll donate ALL of the profits from every single one we sell to the Society. We've made this bouquet an absolute stunner, too, packed with white roses, carnations, statice and lovely coloured irises, to create a feast for the senses. Send this bouquet to a loved one, and they will be touched to their heart by the thoughtfulness of your gift. All of our bouquets also come with a great range of additional extra options. You can add a box of tasty Lily O'Briens Chocolates, a cuddly teddy, a chic glass vase or a handwritten thank-you card. 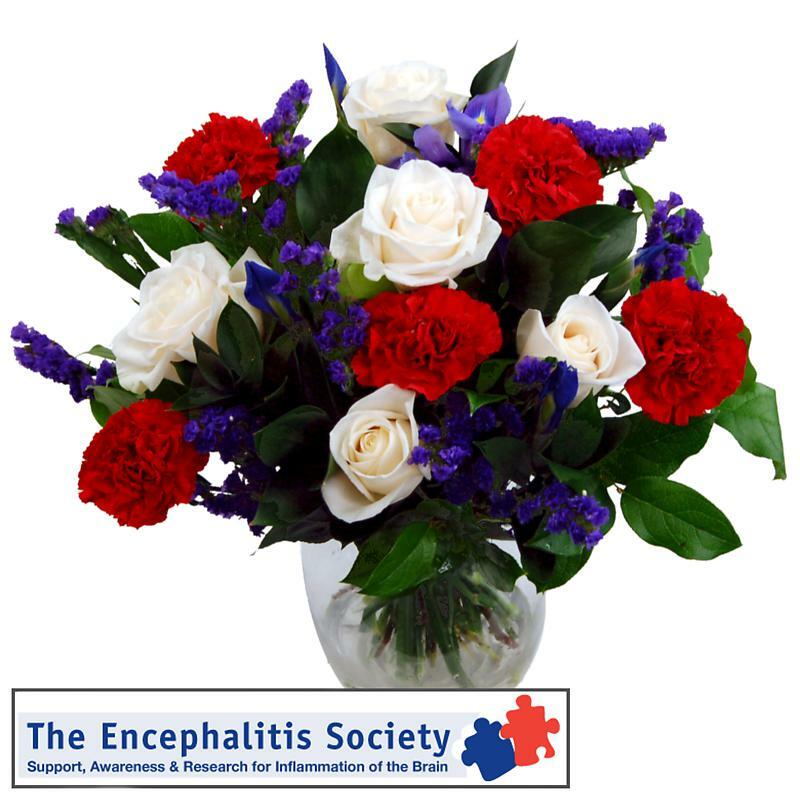 The Encephalitis Society Bouquet forms part of our exclusive Charity Bouquets Collection, a wonderful range of beautiful bouquets designed specifically to help charitable causes.